The Executive Committee has established a new award to honor educators in computer graphics and interactive techniques who are making a significant impact on any educational level, from grade school through higher ed. The ACM SIGGRAPH Distinguished Educator Award will be given annually, beginning March of 2019 and will honor members who are innovative in their approach to education and who are making a difference in their respective disciplines through leadership and student engagement. The award recipient will be selected through a nomination process administered by a five-member committee, and I am happy to announce that Erik Brunvand will serve as inaugural chair of this committee. Erik is currently an associate professor in the School of Computing at the University of Utah where he has been teaching and conducting research in computer engineering since 1990. At SIGGRAPH, he has been an active member since joining in 2006, contributing to panels and workshops and taking on committee roles many of which have been centered on education. For the past two years he has served on the SIGGRAPH Conference Organizing Committee as Education Focus Chair and assembled the Educator’s Forum, a two-day mini-conference at SIGGRAPH devoted to educational topics. It is wonderful to have Erik on board as chair of this new committee. Educating the next-generation of computer scientists remains a priority for Erik, and holds equal importance to conducting his own research. Completing his first order of business in September, Erik formed a committee comprised of members who are education-minded and represent a wide array of backgrounds. The inaugural committee members are: Mike Bailey (Oregon State University); Glenn Goldman (NJ Institute of Technology); Gitta Domik-Kienegger (Universitat Paderborn); Peter Shirley (NVIDIA); and Rejane Spitz (Pontifical Catholic University of Rio de Janeiro). 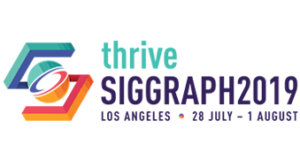 For details about the new SIGGRAPH Distinguished Educator Award and more about the nomination and selection process, visit the awards page. We intend to present the recipient with the award at next year’s SIGGRAPH conference.